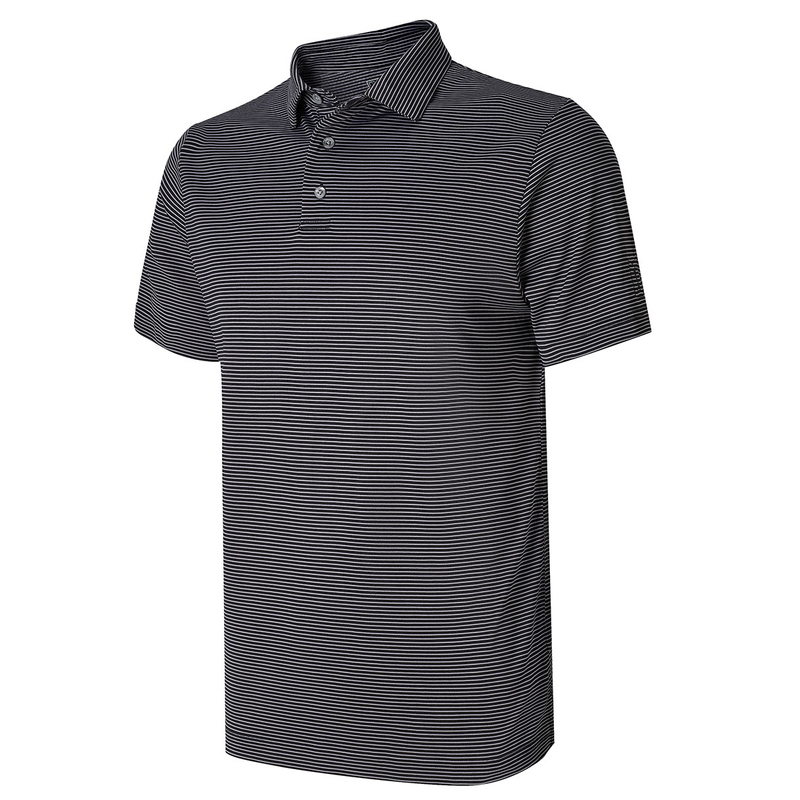 This yarn dyed feeder stripe polo shirt offers comfort and performance as you play golf. Constructed with stretch fabric and MotionFlux stretch seams to give you greater mobility to perform during the golf swing. 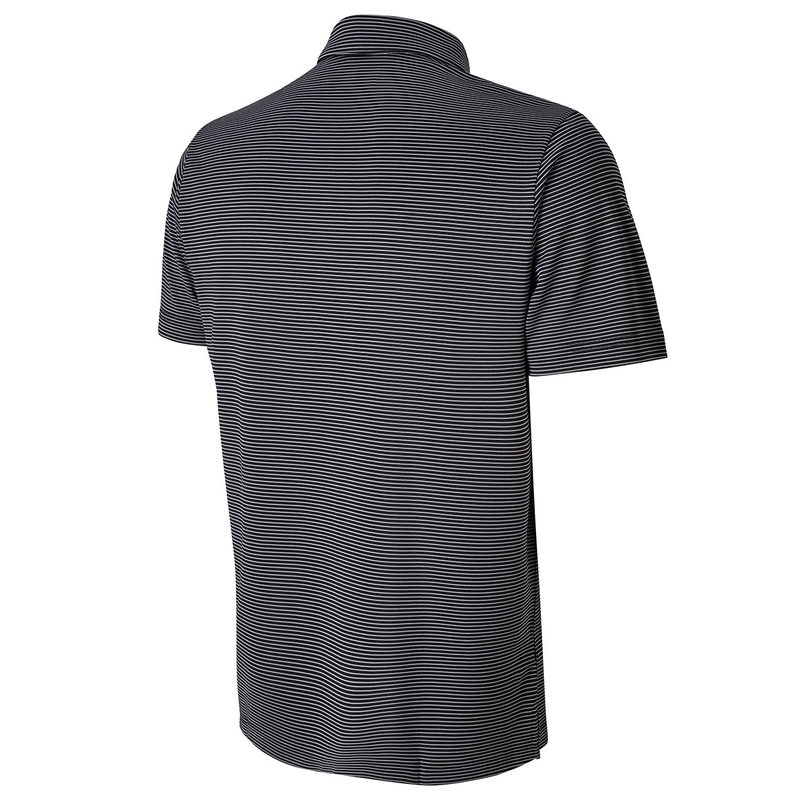 The shirt has moisture wicking properties to keep you dry and less distracted, and is easy care to maintain its original characteristics, for longer lasting good looks. The shirt has a classic 3-butoon placket and fold over collar, and is highlighted with a PGA Tour logo on the left sleeve.